The Laughing Owl Press Company is a full service letterpress print shop located on 27 Fraley Street in Kane, Pennsylvania. The Laughing Owl has been producing quality letterpress printing since 2010. 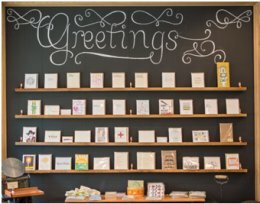 They specialize in uniquely hand printed items such as wedding invitations, business cards, pub coasters, and stationery. Contact them to help create the perfect letterpress project for your event, business, or personal needs! 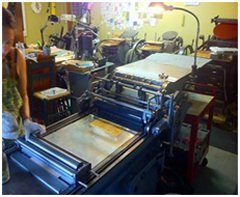 Visit the Laughing Owl Press retail store where they stock their own hand printed products along with items from other print makers. You will find a variety of paper products, art supplies, and gifts to make the paper lover swoon. As a PA Wilds Artisan Trail Site, the Laughing Owl is also proud to carry handcrafted artwork from several talented PA Wilds Artisans. Please contact them with your own ideas!